Here at Newdale we are lucky to have our own specialist French teacher, Mrs Lefroy. 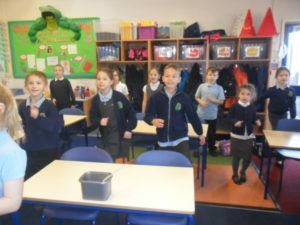 Every child in year 3, 4, 5 and 6 have an hour of French every week. 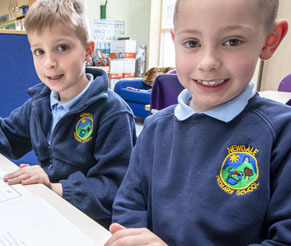 The main emphasis is on speaking and listening skills but they also have a short reading and writing task to complete each lesson. 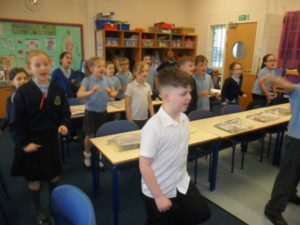 Mrs Lefroy introduces the children to French life and culture via a variety of different topics including food, celebrations and French Art and Music. Sessions are made as interactive as possible with lots of games and singing. 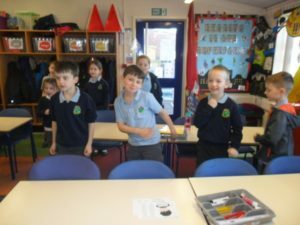 Children in Key Stage One are given a ‘flavour’ of what is to come in Key Stage Two as French language is embedded through daily routines by their classroom teacher e.g. 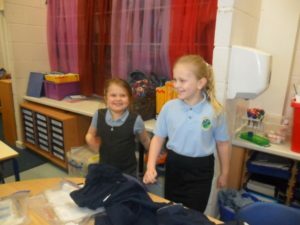 taking the register in French. 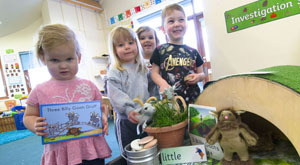 The photos show children enjoying learning and singing along to ‘le fermier dans son pré’ – the French version of ‘The Farmer’s in his Den’.